Greta Briand had a front row seat to the Cold War. Between 1946 and '58, the United States detonated 67 nuclear bombs in her homeland, the Marshall Islands, an archipelago of coral atolls in the South Pacific. Greta and many of her people were uprooted and scattered across the world. The first group settled in Costa Mesa, California. 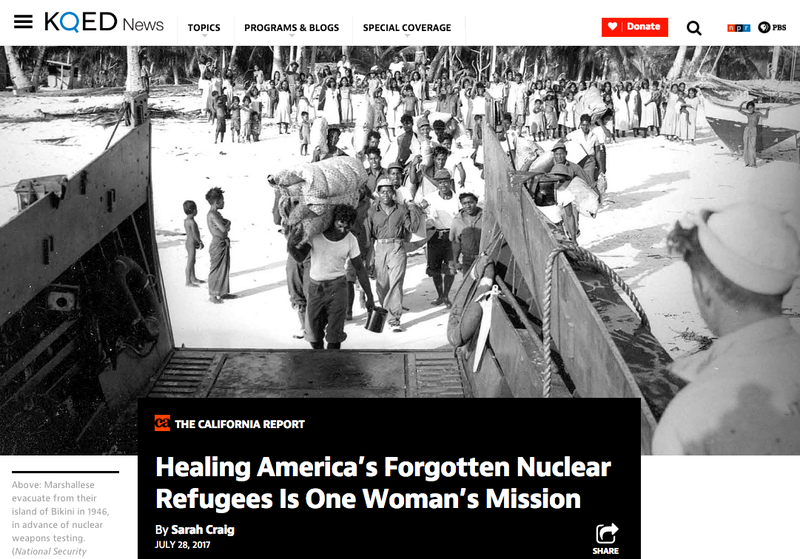 That’s where I met Greta and learned how she helps her Marshallese community cope with the devastating health effects of the nuclear experiments. Listen to the story that aired in July of 2017 on the California Report Magazine here.